Arnab and Tina were returning home after attending their common friend’s marriage, for the entire day rain God was showering his blessing sometime with high intensity sometime lesser, it was drizzling outside when they came out from the marriage hall, it was already 12:30AM, they covered almost half of their way to home but suddenly the bike stopped, after repeated try it did not start, naturally they decided to cover the rest path by walking and pushing the bike. They took just few steps and then suddenly four strangers appeared in front of them with guns in their hands. …hand over whatever you have…money, chains, rings. Pls don’t shoot pls, take whatever you need but don’t shoot….Arnab continued to request repeatedly. What happened why you are looking at me so angrily?...Arnab asked being confused. Can’t you beat them? Can’t you save me from them?...Tina expressed her expectations. …Oye madam, you know one bullet is enough to make you silent and I never miss my target though I am not so expert like Viju (Viju of Buddha Hoga Tera Baap) to pass the second bullet through the same whole in your forehead but after getting the first bullet you will not be alive to check whether I can pass the second bullet or not. After some agitating conversations at last Arnab attacked the goons but at after two minutes facing the floor he was making his best efforts to wake up and at the end he became senseless. The Goons thought Arnab was dead so they left the place immediately. …when doctor will release you? …uncle, aunty, you don’t need to stay here, I will handle the formalities and will take Arnab home. …You have taken care of him so much, have admitted him here, stayed for 3AM, I will remain ever grateful to you. …Hey Arnab how are you? …have you come here to see my destruction? … Why you are so angry? ….Do you know, what Tina has said to me when she came here from the nursing home? She said…we should go for break up. …yes, she said…you are not my hero, so we should stop this relationship here, have not you watched in movies when the goons beats the hero very badly and he becomes almost senseless then the heroine starts to shout out with his name and the voice of the heroine energize the hero, then he regains his energy and beats the goons very badly. But yesterday nothing like this happened, I called you so many times but you did not wake up, so you are not my hero. What a logic….Vijay expressed with surprise. …I tried to talk to her by she is not receiving my call. …what will happen if Tina finds those goons in the hospital bed, screaming out of pain? …and who is gonna do that? Even we together can’t beat those goons; they are very powerful, figure like the WWF wrestlers. …who says we are going to do this? …look at this, he is Jyotirmoy, my school life friend, from last few years we were not in contact, recently I have found him again in twitter, he will do this for us. When Jyotirmoy received the call Vijay explained him everything. …Tina is not receiving my call, better you call her. …Hey Tina, come quickly to hospital, as soon as possible. …what happened? Is anything wrong with Arnab? Without answering her Vijay disconnected the call. …pls give a chance, I wanna show you something. He took Tina to Men’s general ward bed no. 36 to 41, seeing the patients Tina was about to laugh out loudly, these are the same goons who had beaten Aranb very badly. …after the office we will meet in the park and will take dinner in restaurant, treat is mine. …Hey Jyotirmoy, thanks a lot for being so helpful, I am not your friend but still you have helped me so much, I will remain ever grateful to you. …Boss, this guy is looking for you. …what’s up, why are you looking for me? …Are you the guys who have beaten a boy last night when he was returning back home with his beloved? ….yes we are the guys, then what? Jyotirmoy turned back and closed the door. …Oye…. 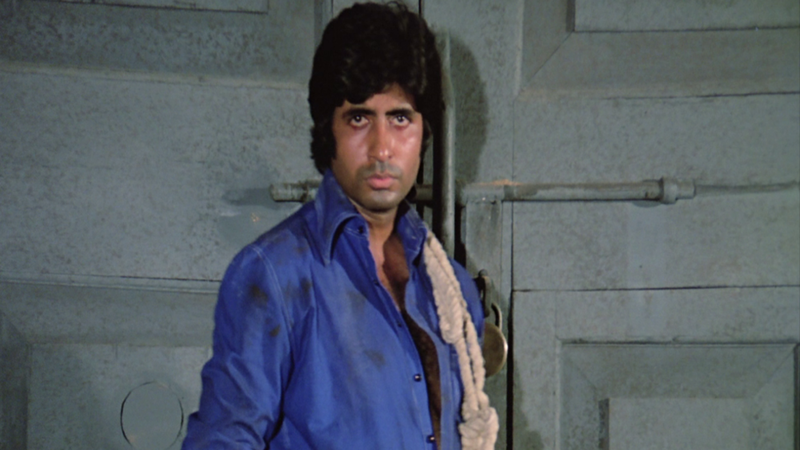 hero, we have also watched the movie “Deewaar”, now you will lock the door and will throw the keys towards us, then after sometime screaming out of pain after beaten badly by you we will hand over the keys to you…. nothing going to happen like that. 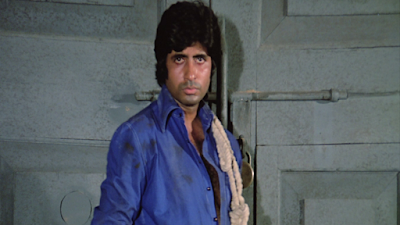 …neither I am Vijay(Amitabh Bachchan in Deewar) nor this is the movie Deewar. …pls help me, pls help me, until you agree to help me I will not leave your feet, pls, pls,pls ,pls,pls. …ok,ok, I will help, pls leave my legs and take a seat here. …what’s the matter? Tell me. Jyotirmoy explained everything what happened after they have beaten Arnab. …what we have to do? …you just take a bed in the hospital tomorrow morning with bandages in your heads, legs and hands and have to scream out of pain when Tina will enter. …OK, I have understood the whole drama, but my friend, it’s not good to lie to your beloved. …when the girl is so filmy type then what can we do. …but why you are so much concerned about them, according to your description neither Arnab nor Tina are your friend. …look, if Arnab and Tina go for break up then people will lose faith in love; they are in love with each other from last seven years. Some water droplets came out from the eyes of the boss. What happened, why you are crying? …Jyotirmoy asked curiously. …you know, she, my beloved left me for the same reason; I was unable to protect her when some goons attacked us. From that time I decided to be an anti-social and will beat people, especially the Romeos. Except beating and snatching I don’t do any other anti-social activities. …when did she leave you? …8 years, 11 years, 5 years, 2 years, 9 years, 1 year. …it’s already 11 Pm, have you taken dinner? Why don’t you take dinner with us? They all completed the dinner with delicious and spicy Chicken biriyani and Mutton curry. …boss, may I ask you a question? …you said that except beating and snatching you don’t perform any other activity then why do you keep a gun with you, I mean a big dagger is enough for such works. ….For self defense, if by chance any one stronger than me try to beat me then the gun will save me for sure. Getting the answer Jyotirmoy said good bye and headed towards his house. Being a peace lover Jyotirmoy always avoids any type of chaos, he always tries to settle down the issue with conversation and this is the reason he always maintains distance with the people who have the habit to shout out in small issues, plays tricks and are quarrelsome. Peace in mind brings peace in life.